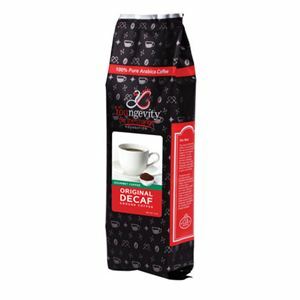 Our Certified Organic Original Decaf is immersed in filtered water to extract caffeine and then filtered through charcoal for safe, chemical-free extraction; leaving you with a delicious 99.9% caffeine-free cup of coffee. Our Original Decaf ground coffee is the perfect blend of mellow and smooth with just the right full-bodied depth to make this an aromatic end enjoyable experience. Youngevity’s Be The Change Coffee is grown and harvested at our very own plantation in the high-mountainous region of the Nicaraguan rainforest. It is grown under the strictest standards ensuring the best 100% Pure Arabica, Rainforest Alliance Certified™, Fair Trade Certified™, and environmentally-friendly coffee is produced.